A dramatic hype video that blends together the Patriots' past and Star Wars. This newly made playoff hype video combines the sights of an extremely successful sports franchise with the sounds of an extremely successful movie franchise. Sounds and music from "The Last Jedi" are run over scenes of the New England Patriots plays, mostly from this year, making for a hugely dramatic hype video heading into the 2018 NFL playoffs. The video is substantial in that it has many significant references to Patriots history without making them seemed forced. The first of these references come when the narration says "untamed power" as highlight reels of Tom Brady from the NFL Draft Combine are played. This is a little ironic, as Tom Brady's draft combine videos are pretty unimpressive, as he was drafted 199th overall, perhaps proving that not all greatness is overtly measurable in the combine. Later, it references some of the hardest failures in Patriots history, as it replays clips of the 2007 Super Bowl XLII loss, in which the Patriots ruined their chances at an undefeated season by losing to the New York Giants in devastating fashion. David Tyree's unlikely and legendary helmet catch plays repeatedly during a segment in the video as the Star Wars narration commands, "Let the past die. Kill it...That's the only way to become what you were meant to be." The video even plays the clips of Tom Brady's "pick six" during the most recent Super Bowl against the Atlanta Falcons. In Super Bowl LI, it appeared for a good portion of the game that the Patriots would lose before mounting a comeback of historic proportions. It is a smart video in the sense that it does not pretend the Patriots are without flaw. Instead, the video embraces how past failures have helped New England grow as an organization and come back stronger, either within games or from year to year. 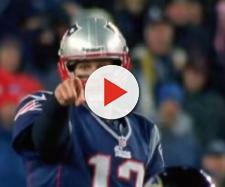 The most poignant aspect of the video is when the narration quietly states, "I need someone to show me my place in all of this," alluding to where this current Patriots team will stand in the history of the great winning Patriots teams. From there, an explosion of dramatic music takes over as scenes of great plays from this year are run. The sound of missiles adds to the explosion of sound, matching up football passes with appropriate Star Wars sounds. The wave of noise finally recedes into silence before rushing back for a moment at the end of the video. The video ends with a blunt "#NotDone." This is likely referencing the Patriots' pursuit of a sixth Super Bowl title, named the "Blitz for Six."